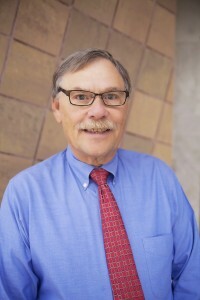 Murray Bruder, Realtor, Evelyn Bruder Dream Team, Marketing and Internet ManagementMurray began his career in Las Cruces in the private practice of Obstetrics and Gynecology in 1975. He worked at his practice of medicine actively from 1975 until 2000 when he retired. During this same period Murray and a group of 5 other physicians opened their first Urgent Care Center “Family Medical Center.” This was the first free standing non-hospital operated facility in the State of New Mexico. From a simple 7-11PM Practice which treated minor emergencies, they grew to be a multi-specialty Medical Group with 20 full time physicians and ancillary providers and Laboratory and Radiology Services in 4 Facilities around Las Cruces. They practiced not only Emergency Medicine, but the office and hospital based specialties of Family Practice, Pediatrics, Obstetrics and Gynecology, Internal Medicine, and Orthopedics and Urology. Murray became the Managing Partner of the group overseeing the Administration of both the Medical and Business functions. As such he needed additional training and went to the University of South Florida in Tampa and obtained an MBA degree. In 2000, when Family Medical Centers were sold to Physician Management Group, Murray also retired from his private practice of Medicine. His Real Estate Career began 30 years ago when Murray and his wife Evelyn, the Evelyn Bruder Dream Team Leader, obtained their Real Estate training and licensure. They each became members of the Las Association of REALTORS and the National Association of Realtors. While still practicing Medicine, Murray used his business degree and Real Estate License and knowledge to buy and sell Commercial and Multi-Family Properties. 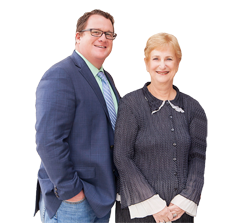 Evelyn entered the full time practice of Residential Real Estate 30 years ago after she became Licensed. Murray did not join the Evelyn Bruder Dream Team until 2001 when he could actively devote his full time to that career. He soon became the Administrator of Evelyn’s rapidly growing Real Estate Practice. His business degree and Real Estate Experience determined his role at the Evelyn Bruder Dream Team. Not only doing all of the many forms of Marketing for the Practice, but as the Internet grew to be the dominant method of providing information in the practice of Real Estate, so did Murray’s involvement in that segment of the practice. Today, Murray continues as the full time Marketing and Internet Technology Manager for the Team. 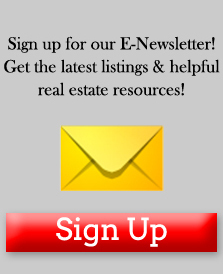 Murray has developed and continues to refine multiple websites to provide Real Estate content for the consumer. The Evelyn Bruder Dream Team believes that the consumer – Buyers and Sellers- should have free, no obligation access to all of the Real Estate Information that they want and need without the hassle of an Agent bothering them. By operating more than 10 different Websites, Murray provides that information in specific sections designed to bring every aspect of Real Estate information to the consumer in multiple formats. From text to multi-media production the consumer can choose to get the information they want and need in the way they feel most comfortable, and is easiest for them to use. The philosophy of the Evelyn Bruder Dream Team is to give the Buyer and Seller what they need, and when they are ready for the assistance of a Real Estate Professional to be available to provide the highest level of Professional Real Estate Services possible.